One of the earliest civilizations is that of Ancient Egypt. This civilization thrived for more than 3,000 years, in part because of the richness of the land at the Nile River delta. The Nile also served as a source of transportation for people and a source of water for plants and animals. Egypt also had natural geographic boundaries that protected it from attack. It was surrounded by desert to the west, the Mediterranean Sea to the north, and the Red Sea to the east. To the south, the Nile’s cataracts or rapids helped prevent attackers from advancing into Egypt. Egyptian history is often divided into a series of 30 different dynasties spanning more than 3,000 years. The first Egyptian dynasty began in approximately 3100 BC, when the leader of upper Egypt, Menes, conquered lower Egypt. 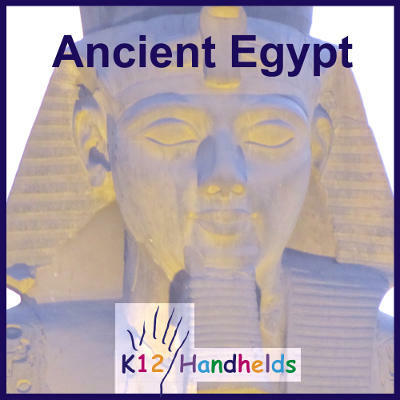 He is believed to be the first to rule both upper and lower Egypt. 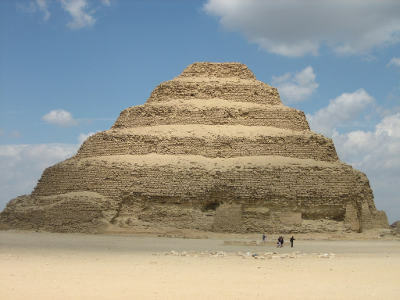 In the 3rd dynasty, the king Djoser was responsible for building what is believed to be the first step pyramid. It was built to be the eternal resting place for a king. 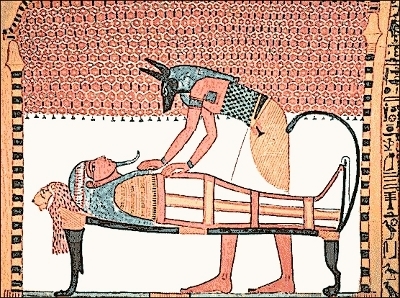 The Egyptians had a strong belief in the afterlife. 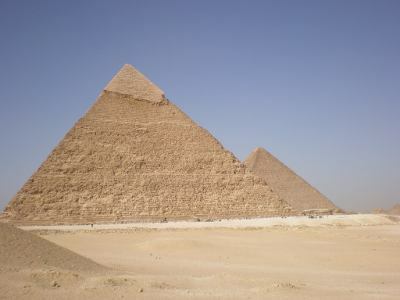 The famous pyramids at Giza were built during the 4th dynasty. It took several thousand workers many years to build these great pyramids, which remain wonders that attract visitors from around the world even today. In the 15th dynasty, the Hyksos, a Semitic people from Asia, ruled Egypt. Rivals emerged, and by the 18th dynasty the Hyksos were expelled from Egypt, and the New Kingdom period of history began. Egypt expanded its area of control during this period. During the 18th dynasty, Egyptians began the use of the term pharaoh to refer to the king. One ruler during this period was Hatshepsut, who ruled from 1473 to 1458 BC. She was both the daughter of one pharaoh and the wife of another, and was unique as a female ruler. In 1350 BC, the concept of monotheism was first introduced in Egypt by Amenhotep III. In the 19th dynasty, which spanned the years 1307 to 1196 BC, began the rule of military pharaohs. As more rivals came from Asia and other places, Egypt needed to defend itself. Ramses II, also known as Ramses the Great, and Ramses III were two military kings during this period. During the 20th and 21st dynasties, Egypt’s military might declined, and Egypt began to lose power. Internal struggles also developed between the pharaohs and the priests. Around 770 BC, the kingdom of Kush in Nubia began to gain power. The 25th dynasty was established by the Kushites. War with the Assyrians later ended the Kush dynasty. In 525 BC, the Persians occupied Egypt. In 404 BC, the Egyptians regained control, but it did not last for long. The Persians regained control in 343 BC Then, 11 years later, Alexander the Great conquered Egypt. This effectively ended Egypt’s independence. Later, Ptolemy became governor of Egypt, and his line of rulers kept power for some time. The last of them, Cleopatra, committed suicide after being defeated by the Romans. Egypt was then officially made a part of the Roman Empire. Ancient Egypt was an agricultural society. 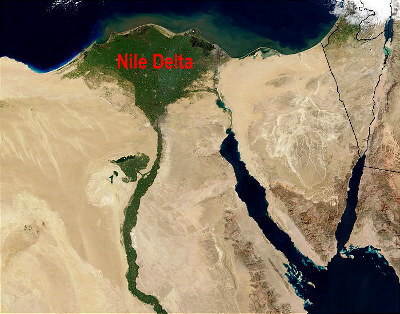 Most of the people in Egypt lived in the Nile Valley or on the delta. The rich soil there supported the growth of crops and allowed the population of Egypt to grow considerably. Many levels of social classes existed in ancient Egypt. Much of what we see in museums or read in books relates only to the very richest, but a variety of classes were present. At the very highest level was the king or pharaoh. The pharaohs were believed to be gods on Earth. Other royalty and high-ranking administrative officials were also a part of the top level of society. There was also a middle class, made up of wealthy landowners, priests, army members, and other government officials. Finally, the lowest class was made up of farmers, craftspeople, servants, laborers, and others. The lowest class was the largest. One of the earliest legal codes known is the Code of Hammurabi. This was developed by Hammurabi, the king of Babylonia from approximately 1792 to 1750 BC. A copy of this code engraved on a column of stone was found in 1902. The code was to apply to all people and attempted to provide humanitarian justice. The punishment prescribed by the code followed the “an eye for an eye, tooth for a tooth” type of retribution. Being able to read and write was a privilege of a small group of people in ancient Egypt. It was mostly limited to the rich, the scribes, and those at high levels of government. The scribes were people who kept all the records and wrote all correspondence. 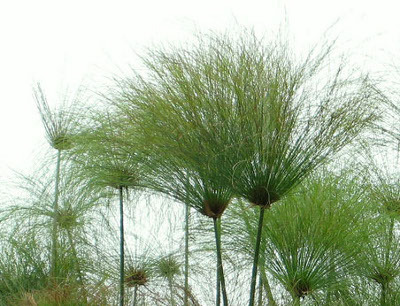 Scrolls made of papyrus were used to write on. 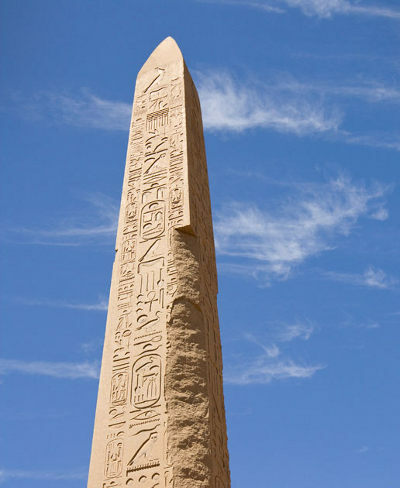 Because of the dry climate of Egypt, many of those writings were preserved for thousands of years. 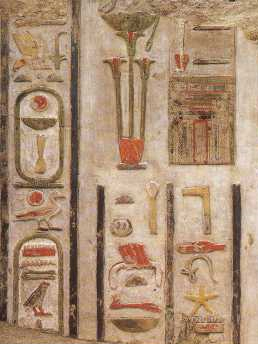 Early Egyptian writing used hieroglyphics, a series of symbols. Hieroglyphics were carved or painted on monuments. 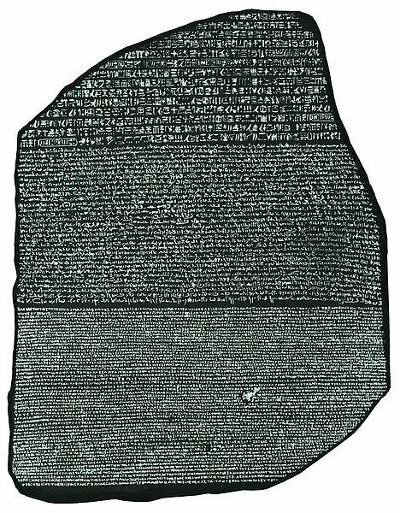 In the 1800s, a French scholar discovered the Rosetta Stone and figured out how to read some of the Egyptian language. Egyptians created a lunar calendar early in their history. This was important to keep track of when the Nile would flood. Egyptians also used the calendar to record historical events. Early Egyptians worshipped many gods and goddesses. They took the forms of humans, animals, and sometimes combinations of both. Some were associated with the sun, the moon, or the earth. Egyptians had a strong belief in an afterlife. In order to achieve eternal life after death, it was believed that one must live a good and moral life. In addition, the burial place was important. Tombs were prepared with furnishings, sacred texts, and decorations. Bodies were prepared for the afterlife through embalming and mummification. The linen-wrapped mummy was often placed in a coffin with amulets or charms. The richer a person was, the more elaborate his or her burial would be. The very richest pharaohs had pyramids built and filled with riches and beautiful works of art. 3100 BC - Menes unifies upper and lower Egypt, marking the beginning of the Egyptian empire. Approximately 2500 BC - Pyramids at Giza built. 2134 BC - End of the Old Kingdom period of Egyptian history. 2040 BC - The city of Thebes becomes the capital of the reorganized kingdom of Egypt. 1570 BC - The start of the New Kingdom period of Egyptian history. 664 BC - The start of the Late Period of Egyptian history. 525 BC - The Persians occupy Egypt. 332 BC - Egypt is conquered by Alexander the Great. 30 BC - Egypt is made a part of the Roman Empire.